Homework Activity: Exploring the History of Who Do You Think You Are? The structure of Who Do You Think You Are? has been the subject of a number of scholarly articles. The form in which this short story cycle was finally published, and the order of the stories in particular, is significant, and very different from the structure that Munro initially conceived. As Helen Hoy explains in “‘Rose and Janet’: Alice Munro’s Metafiction,” the book was originally supposed to be called Rose and Janet. The collection Munro submitted to her publisher contained stories about two female characters, but at the last minute, Munro “literally stop[ped] the presses” as they were printing copies of her book to revise it “when she realized that Rose and Janet were the same” character (59). 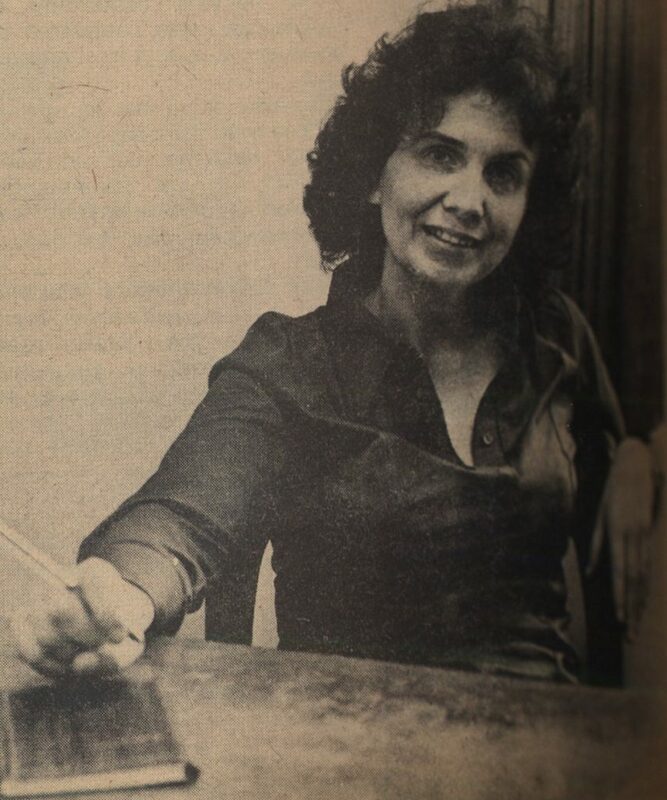 Alice Munro as Western University’s Writer in Residence in 1974. As a student at Western, Munro published her first stories in Folio, the school’s undergraduate English journal, in 1950 and 1951. Comms staff [Western University], CC BY-NC-ND 2.0, via Flickr. Read Hoy’s article in Canadian Literature, paying particular attention to the two different tables of contents (one for Rose and Janet and one for Who Do You Think You Are?) for the collections that Hoy identifies (60). How does this information about the production history of Who Do You Think You Are? affect your reading of the text? How might your interpretations of individual stories be different if you had read Rose and Janet instead of Who Do You Think You Are? It is common for authors to first publish a story in a periodical or magazine before collecting it with several other stories to publish together in a book. In fact, many of the stories collected in Who Do You Think You Are? were also published separately in magazines. In groups of three or four, choose one short story by a Canadian author that was published both by itself in a magazine, newspaper, or journal, and also in a collection of stories by that author. Using the CanLit Guides chapter on Paratexts and Literary Value to guide you, describe the similarities and differences between these two versions. Consider the details of the story itself—its plot, structure, themes, language—as well as the ways that the two versions are presented: their visual elements, the other texts surrounding them, and so on. How might differences in presentation influence a reader’s experience of various versions of the story? Two stories from Who Do You Think You Are?, along with many stories from Munro’s other collections, have appeared in The New Yorker. “Royal Beatings” appeared in the March 14, 1977 issue. “The Beggar Maid” appeared in the June 27, 1977 issue. 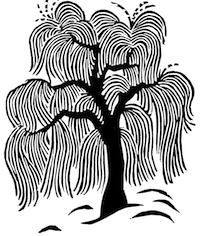 Other Canadian short story writers whose work has appeared in The New Yorker include Sheila Heti, David Bezmozgis, Mavis Gallant, Morley Callaghan, and Stephen Leacock. Contemporary Canadian authors often publish short fiction in magazines such as Harper’s, The Fiddlehead, The Malahat Review, Prairie Fire, and others. In the early-nineteenth century, stories by Susanna Moodie and John Richardson were published in The Literary Garland. Munro, Alice. “The Beggar Maid.” The New Yorker 27 June 1977. 34-51. Print. —. The Beggar Maid: Stories of Flo and Rose. New York: Knopf, 1979. Print. —. Who Do You Think You Are? Toronto: Macmillan, 1978. Print. —. “Royal Beatings.” The New Yorker 14 Mar. 1977. 36-44. Print.